BAA Training, a European standard aviation training centre, starts the partnership with SmartLynx Airlines to launch the new Pilot Cadet Program. The five-year agreement will ensure job opportunities for a new, highly-qualified generation of pilots at the airline which seeks such professionals in order to be able to fulfil its ambitious plans for business expansion and company’s growth in the near future. The SmartLynx Cadet Program students will be offered a conditional employment contract. They will undergo EASA ATPL integrated training program at BAA Training and will acquire the ATPL frozen license. Successful candidates will progress to being co-pilots on the Airbus A320. “This is an amazing opportunity for future pilots that dream of flying. Our aviation academy’s goal is to provide training of the highest quality for every candidate, moreover, the potential job assurance is what makes this program so special,” noted Indre Sveistryte, Ab Initio Director at BAA Training. The European Union’s leading ACMI* and full charter provider on Airbus 320 aircraft, SmartLynx Airlines, is keen to attract the increased number of quality pilots it needs as it enters a new phase of development this year and a very challenging business expansion plan. „In recent years we are confronted with the shortage of pilots in the aviation industry. 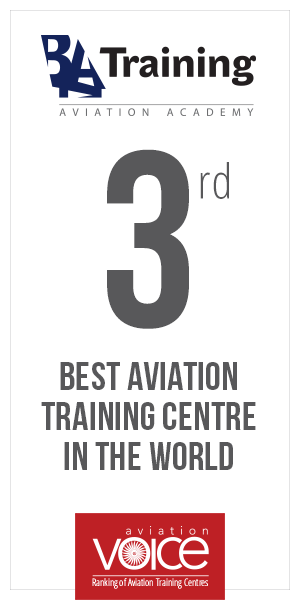 That is the reason why we have signed a partnership contract with BAA Training Aviation Academy. Thus, Smartlynx will start to work with young-generation pilots, following their progress during all years of studies at BAA Training. All successful graduates assessed by SmartLynx will be offered the opportunity to undertake the type rating courses for Airbus A320 series aircraft by SmartLynx and, if finished it successfully, a job at Smartlynx Airlines. Soon enough we will also work on scholarship grants, as we all know how expensive the aviation industry can get,“ said Zygimantas Surintas , CEO of Smartlynx Airlines. 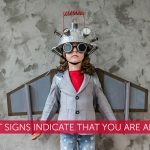 Did you know what signs indicate that you are an #AVGEEK? What Happens To An Airplane When An Airline Doesn’t Want It Anymore?